Wacker Neuson presented Fisher House Wisconsin, a local veteran’s charity, with a donation of over $111,000 on behalf of our dealer AGF Machinery, Dothan, Ala. 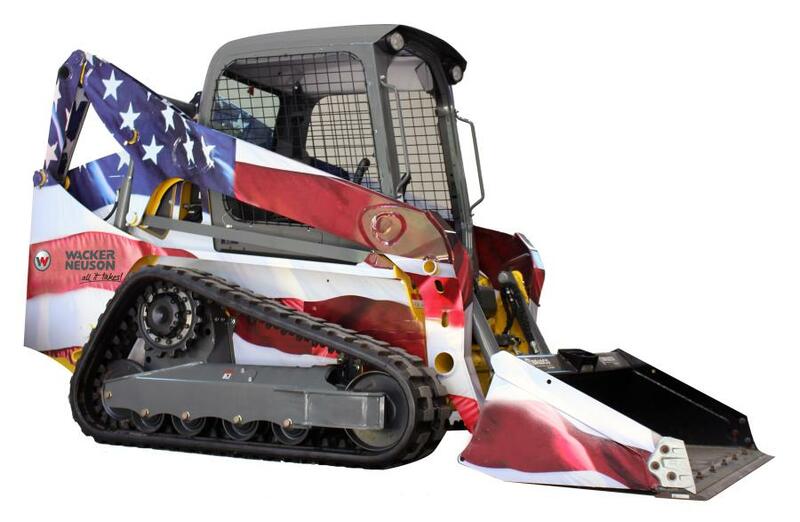 They outbid dozens of dealers for a special stars & stripes wrapped compact track loader to help an amazing organization. 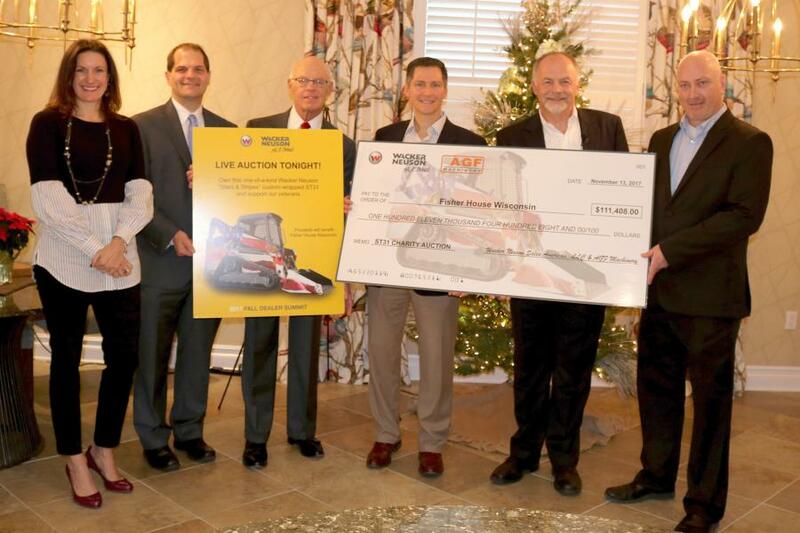 Wacker Neuson and its dealer, AGF Machinery, LLC, of Dothan, Ala. raised over $111,000 for the local veteran's charity, the Fisher House Wisconsin. During its annual Dealer Summit held in Milwaukee in October, Wacker Neuson auctioned off a special stars and stripes wrapped compact track loader. Over 70 dealerships were able to participate in the live auction and thanks to the generous bidding of many of the dealers, the ST31 track loader was won by AGF Machinery. Wacker Neuson recently introduced a new line of skid steers and compact track loaders that were designed and are built at the company's Menomonee Falls, Wisc. production plant. “We are proud to be building these quality machines right here in the Milwaukee area, and find it very fitting to support the Fisher House that provides quality support to veterans who have proudly served our country,” said Johannes Schulze Vohren, Wacker Neuson's North American regional president. Fisher House provides a “home away from home” in the form of shelter and support for military and veterans' families during a medical crises and hospitalization at the VA Medical Center in Milwaukee. AGF Machinery was also proud to support this charity. “We appreciate the men and women that serve this country and we felt this was one way to show our support,” said Mike Waters, vice president of Operations for AGF Machinery. The ST31, specially wrapped in the American flag stars and stripes, was used throughout the summer in Wisconsin to celebrate the machine's local roots. It was on display at various industry shows and participated in the Menomonee Falls 4th of July parade, accompanied by many local employees responsible for its design and manufacturing. The ST31's new home with AGF Machinery will continue to support veterans.